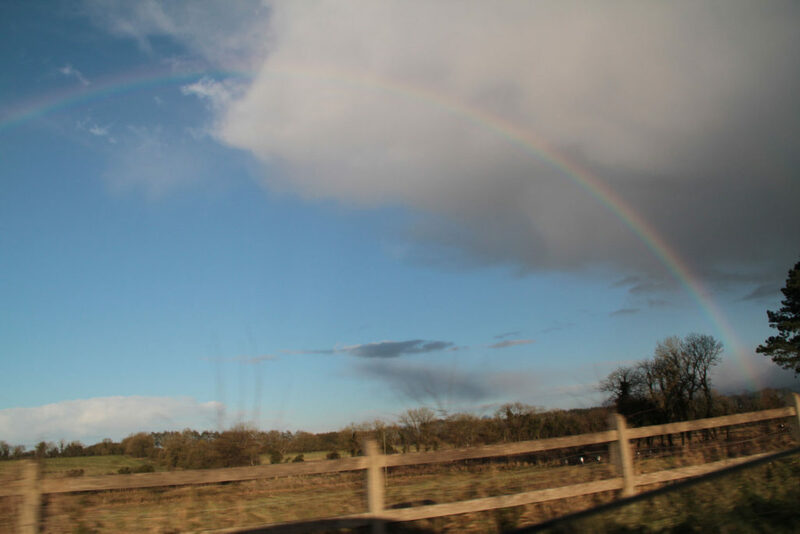 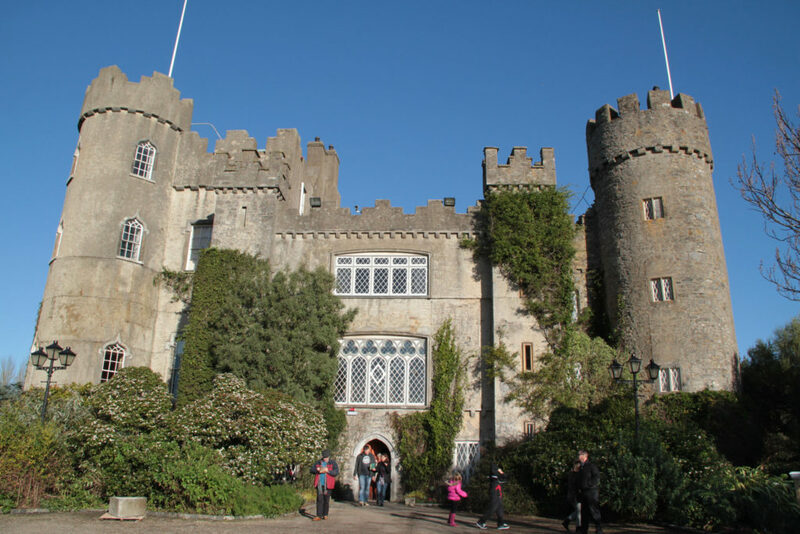 Ireland’s East Coast is most famed for Dublin , Ireland’s largest city and capital, and it’s a great place to stay, be extremely entertained, and enjoy day trips exploring the Irish countryside, waterfalls and yes, more castles and pubs. 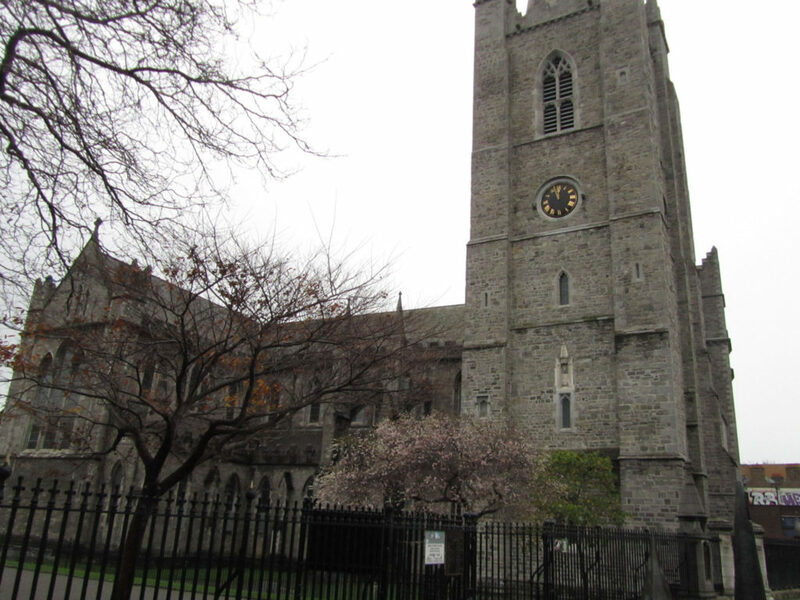 Dublin is rich with history, from Vikings to the Viceroy who ruled here during the British dominance, to today’s more modern architecture and industry juxtaposed against revered Trinity College and St Patrick’s Church. While Dublin is not a huge city, half a million people, the traffic is significant – so explore on foot, grab a cab or a hop on hop off tour to see the city’s treasures. 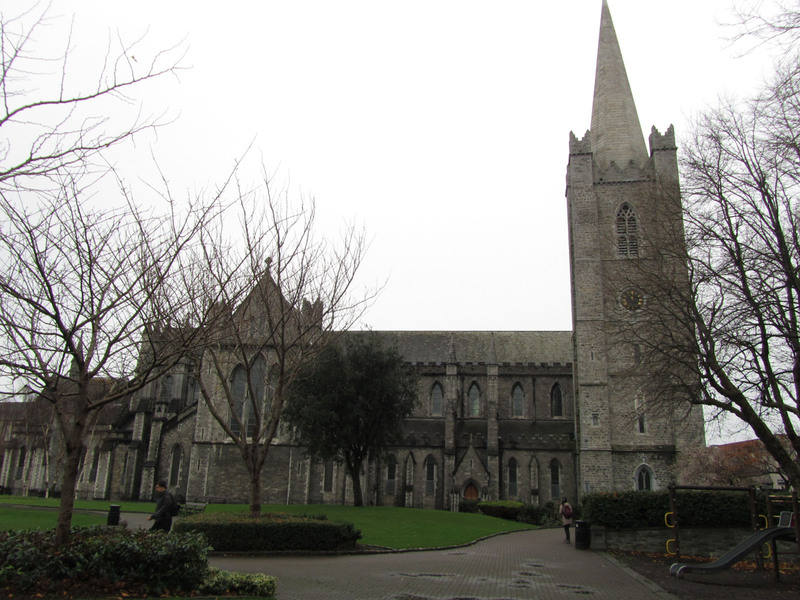 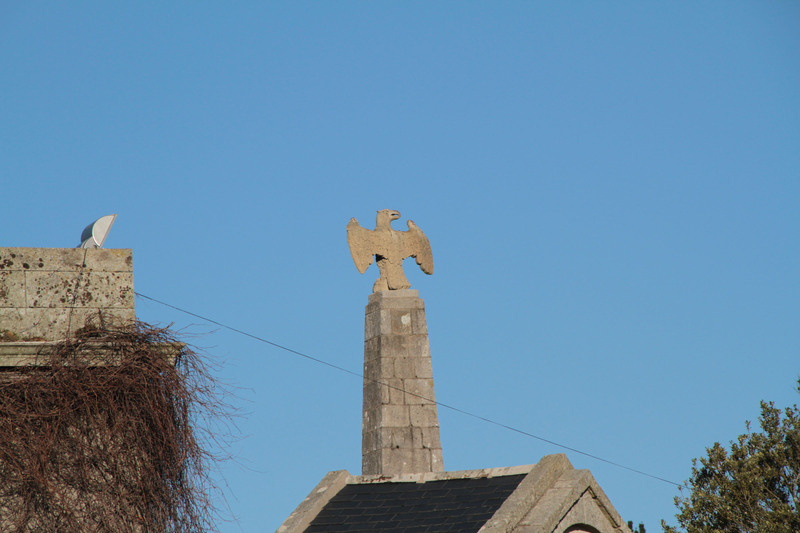 Dublin churches of St Patrick’s and Christ Church are spectacular – whether you are spiritual or not. 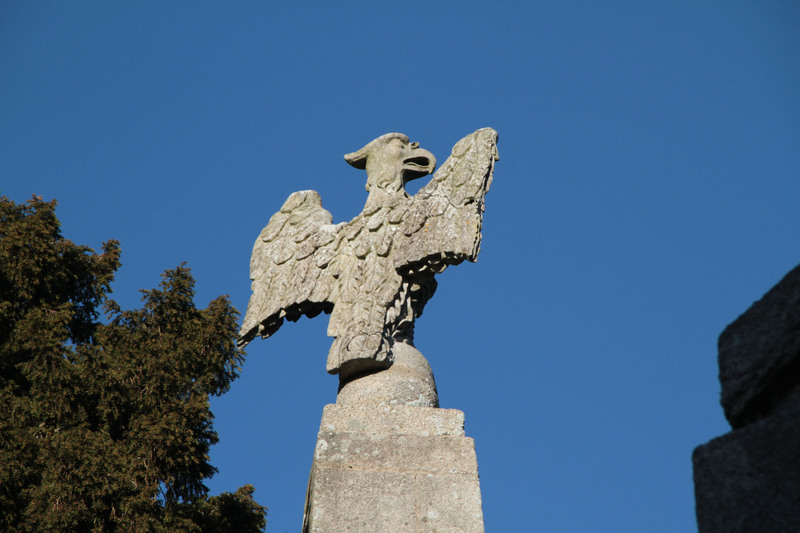 Ironically there is a fee to view these sacred and stunning religious monuments. 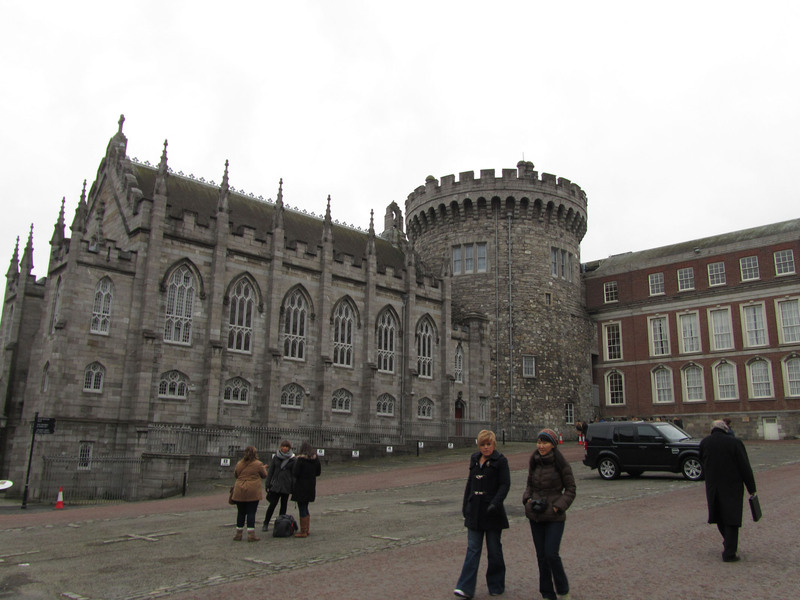 Dublin Castle offers amazing fortified grounds, a remaining turret and palatial State Apartments – all part of the tour within the Castle proper. The Castle interior gleans a glimpse of the how the wealthy viceroy lived over 700 years of power and how the commoners longed to peak into the castle’s luxury draperies, chandeliers dripping with diamonds and rich decor. 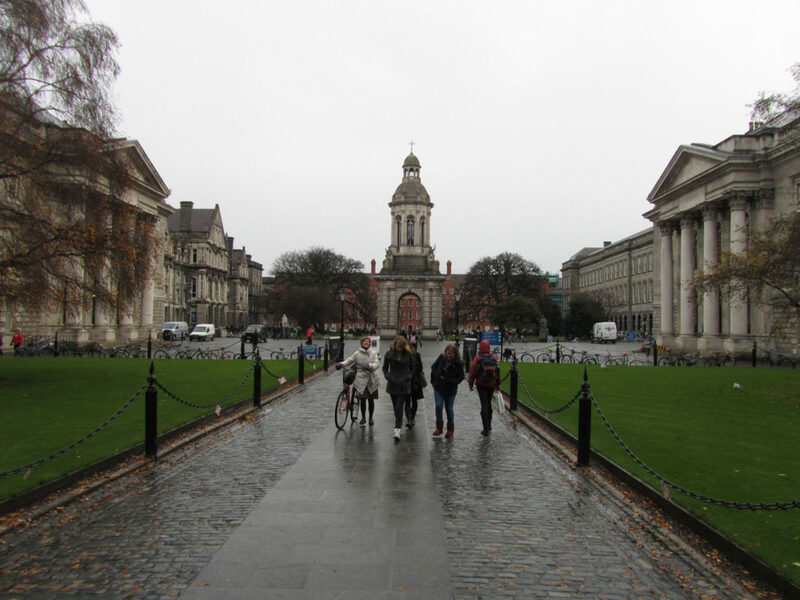 Trinity College is a must visit – this campus is amazingly old and intimidating. 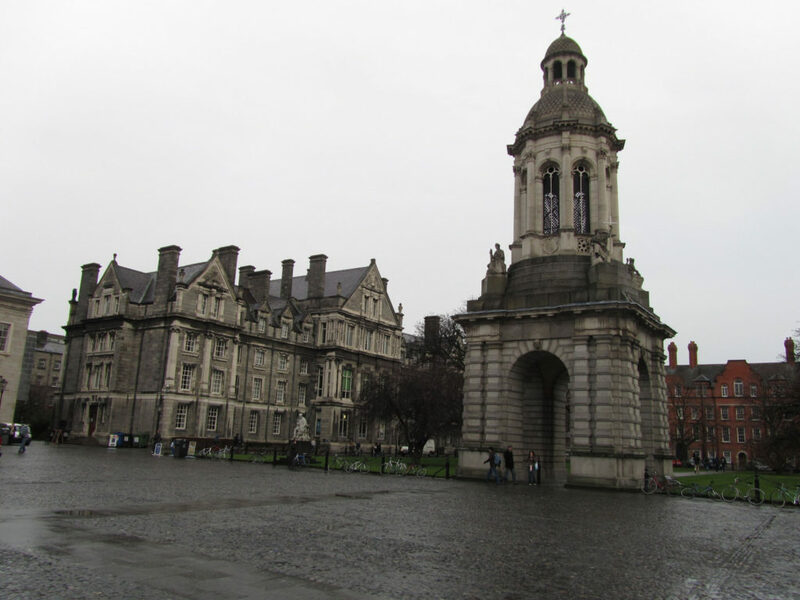 Also on display at Trinity College is the Book of Kells – an 8th century illuminated gospel and the Long Hall of Books – the largest library collection of classic bound historic books and busts in Ireland included in your admission to the Trinity Tour of the Book of Kells. 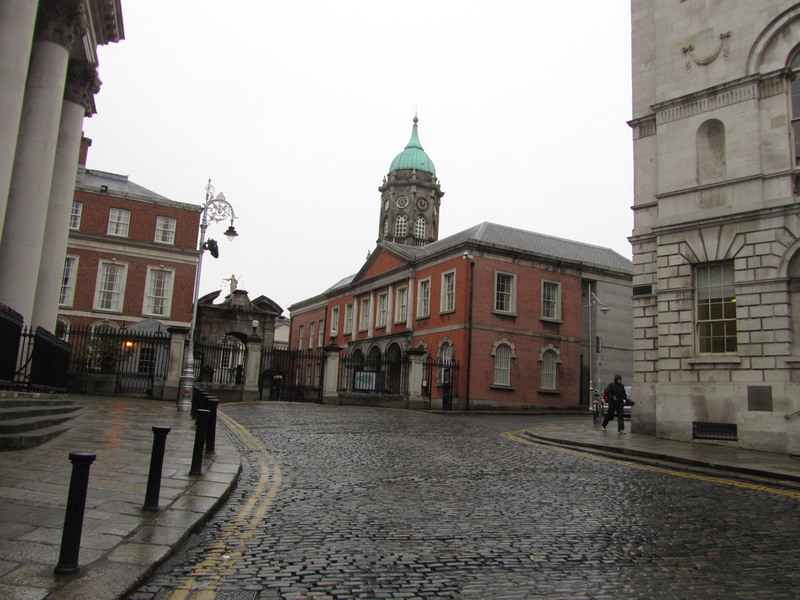 Dublin museums are free, at least these ones: The National Gallery of Ireland and the National Museum of Ireland, plus the Hugh Lane Municipal Gallery which feature works by Irish artist Jack Yeats, Picasso, Van Gogh, the Impressionist Monet, Manet and Rembrandt, and more. The streets of Dublin tell a tale – impressive Norman, Anglo Irish, and Georgian style buildings of granite and marble sit amid grand neo-Gothic cathedrals. 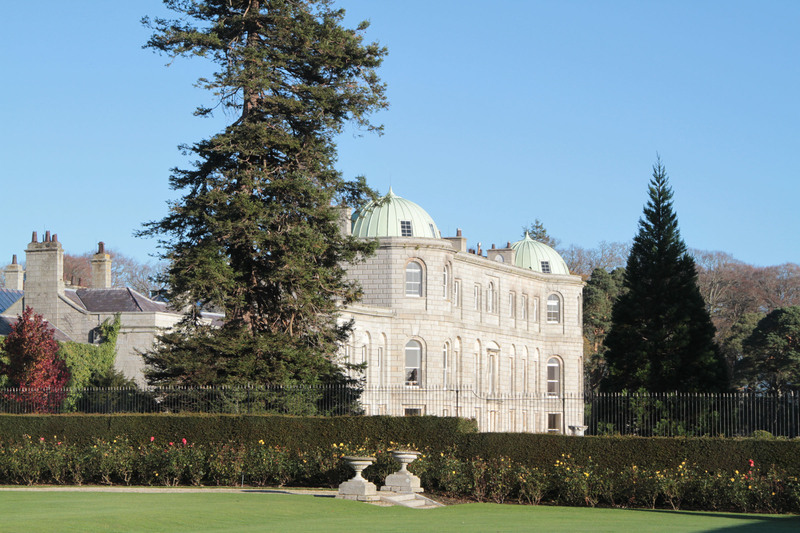 The renaissance brought Victorian and Italianate style to the capital city. 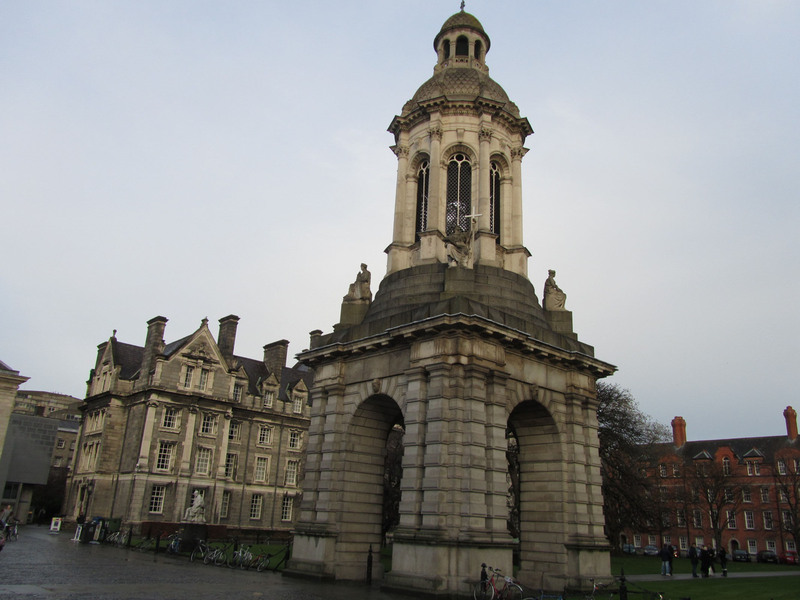 The River Liffey divides the city of Dublin, and provides beautiful views, the Ha Penny Bridge is a must – particularly pretty light up at night. 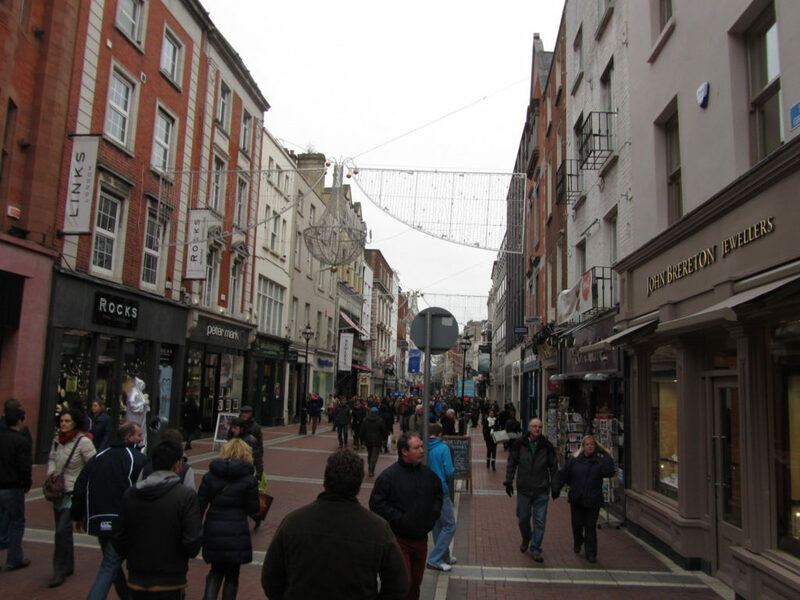 Shop Grafton Street where performers take to the pedestrian zone on weekends to entertain, walk the banks of the Liffey River as well. 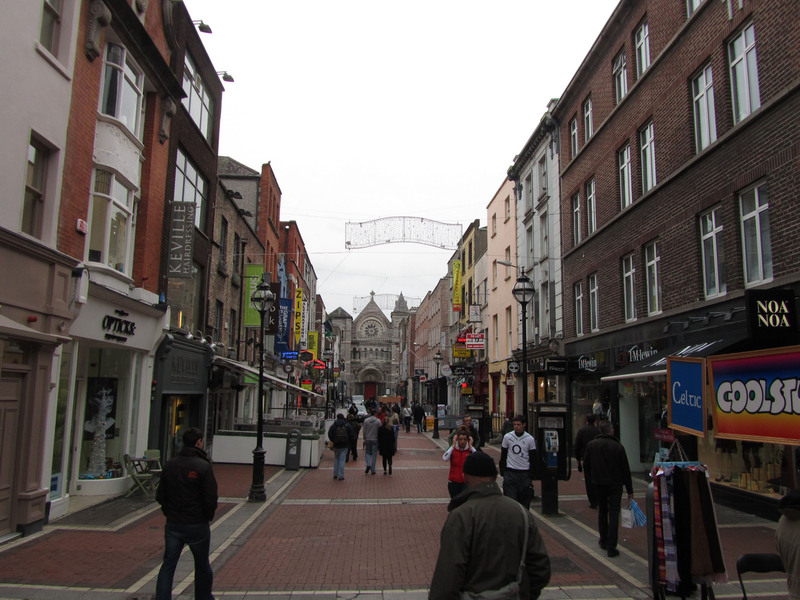 Dublin’s best nightlife with authentic Irish music scene is Baggott Street for Irish sessions, trad, and craic in pubs. 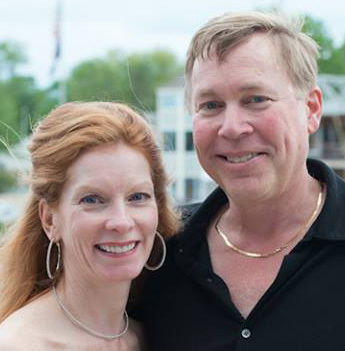 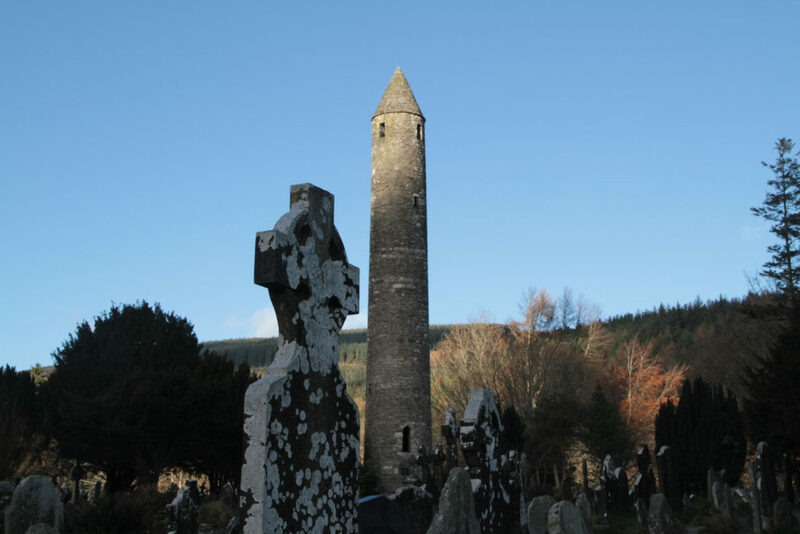 Enjoy true Irish music and sing-alongs over a pint of Guinness or Smithwicks (a beer older than the classic dark brown national stout). 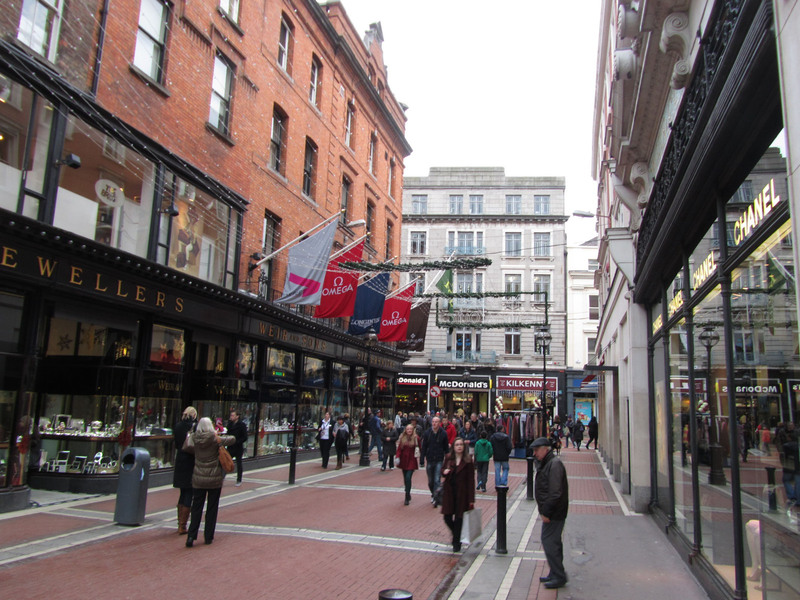 O’Donoghues and Searsons are particularly popular with live Irish music most nights. 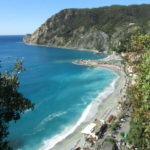 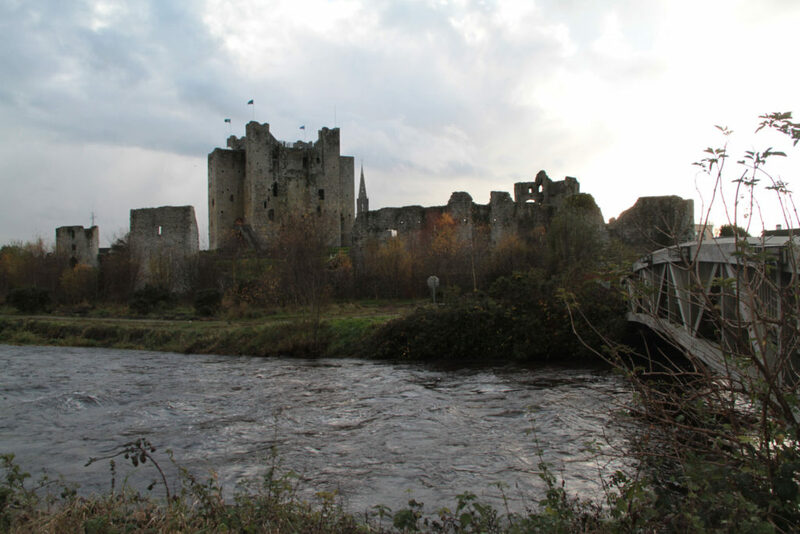 You can also partake in a narrated Literary Pub Crawl or Musical Pub Crawl for a fee – but we found our own great pubs. less contrived, just following our noses and the jovial noises. 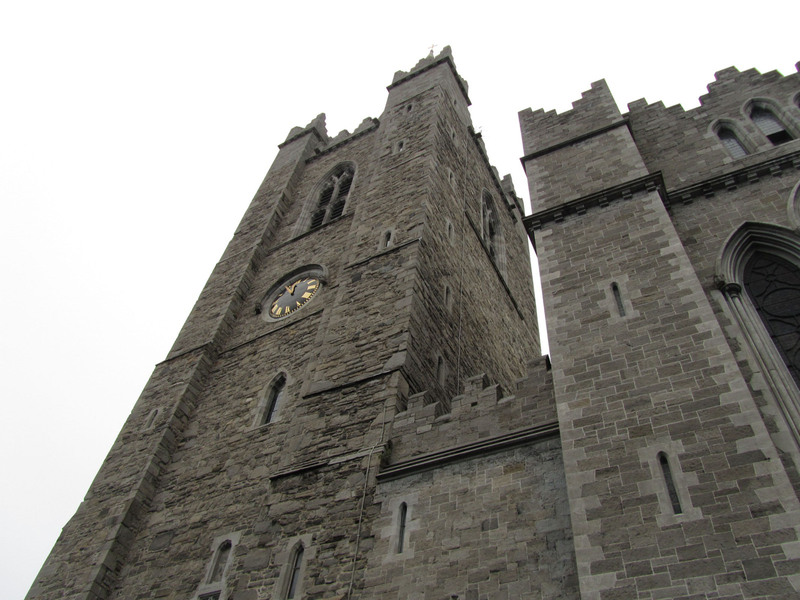 Temple Bar is like an Irish keg party type pub crawl every night with wall to wall Guinness quaffing guys and gals and loud music. 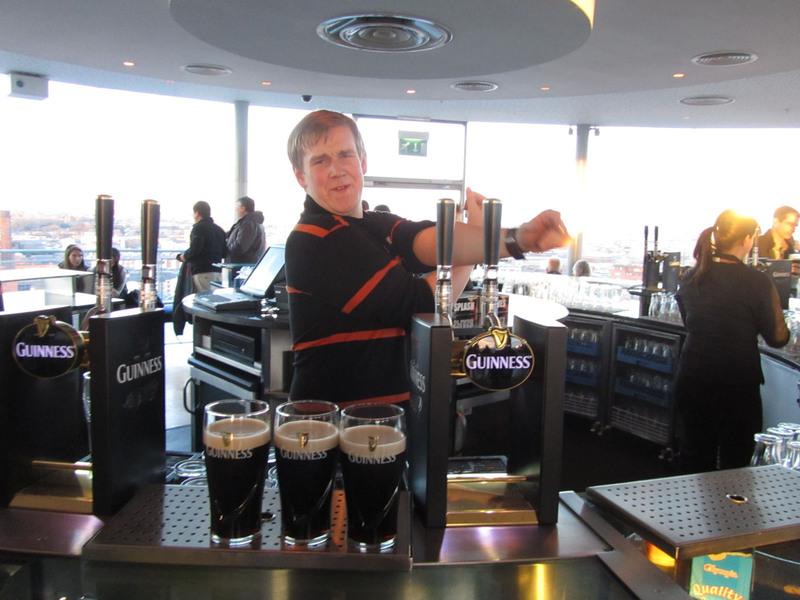 The Guinness Storehouse tour provides a narrated tour of the famous Irish stout beer, the trademark Guinness marketing genius and insight to the simple but successful ingredient of Sir Arthur Guinness brilliant beer. 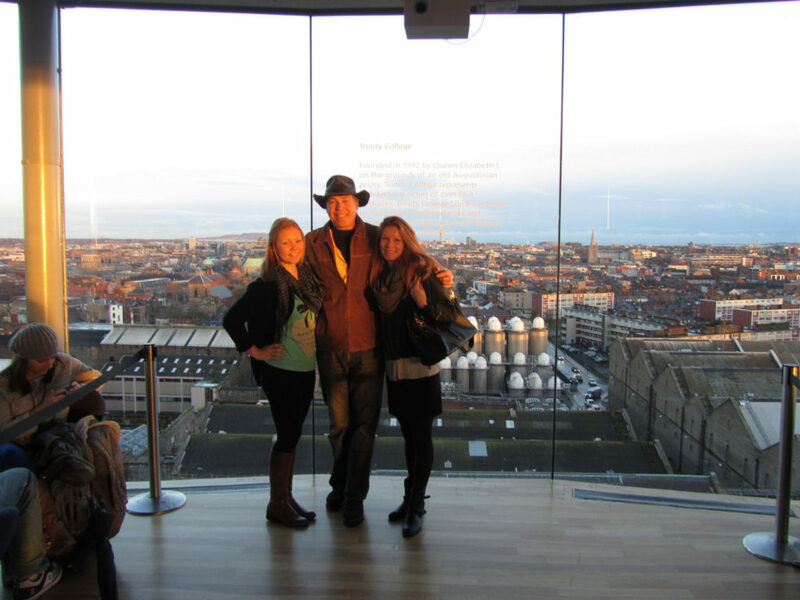 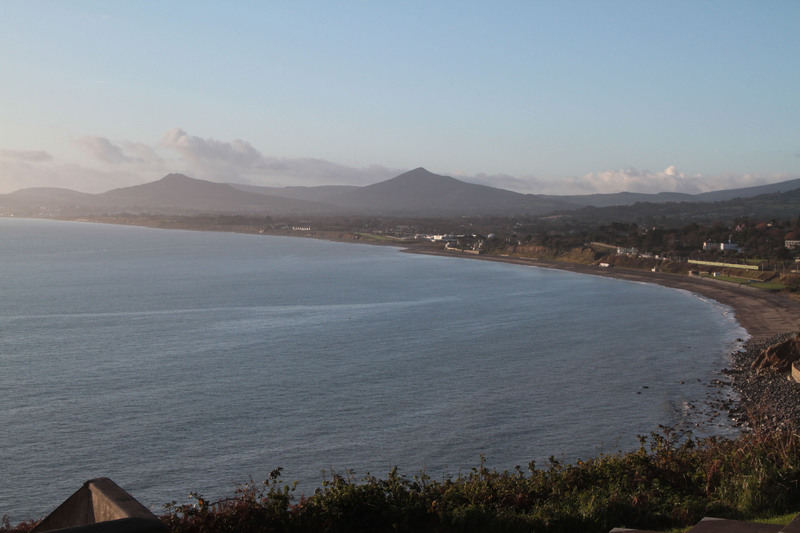 After the tour, you are good for a “free” beer (ok – the tour is pricy at $18 euro) which is served on the top floor Gravity Bar with floor to ceiling windows and splendid views of the entire city, church steeples and all, and the mountains of Wicklow and Sugar Loaf in the distance. 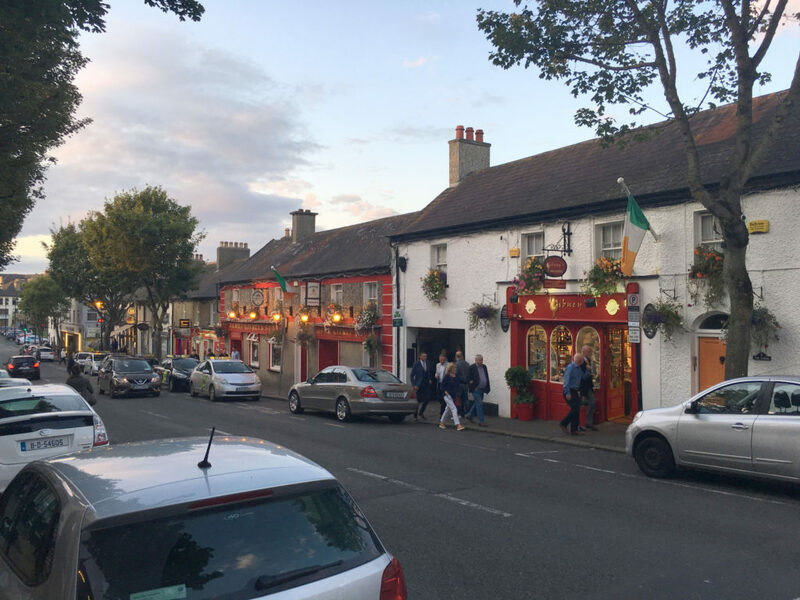 The best places to dine in Dublin, The Brazen Head Pub is the oldest in all of Dublin located near the Guinness Factory, The Bank on Excheque Street in town offers a lavish Italianate decor in an old 1892 bank, and the Merry Ploughboy Hall outside of town (go for the live show). 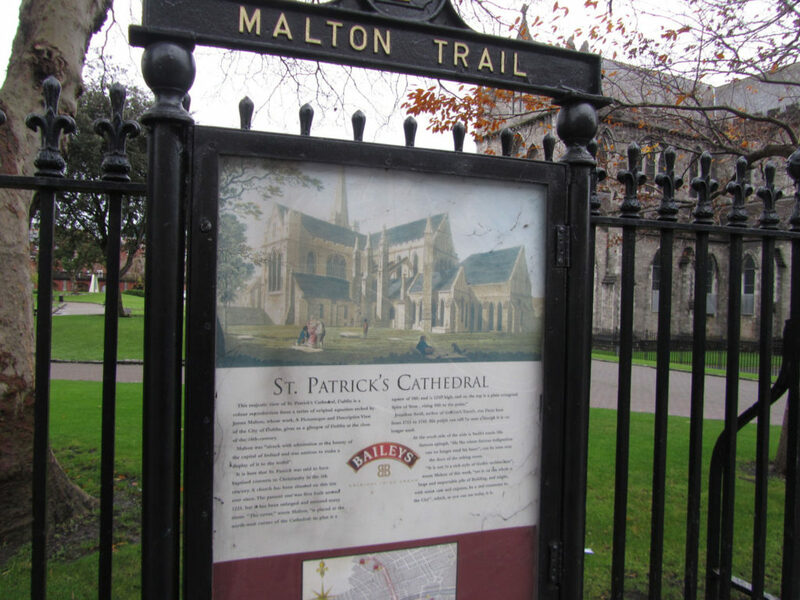 Dublin’s food is quite traditional fare – menus look much the same featuring: bangers and mash, fish and chips, Guinness Stew, Irish Stew, cottage pie, chowder, salmon and brown bread. 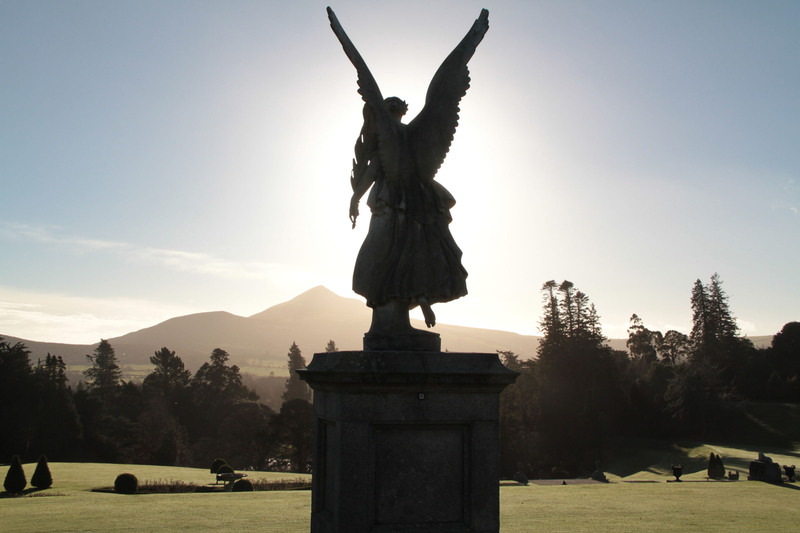 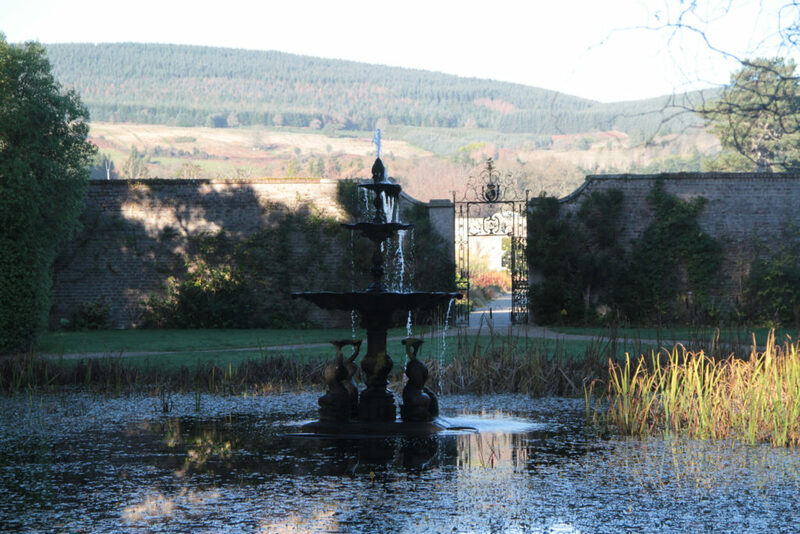 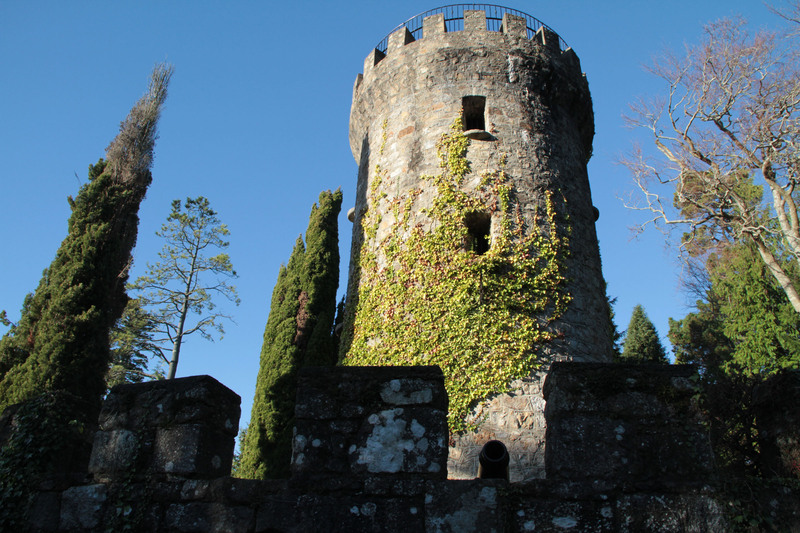 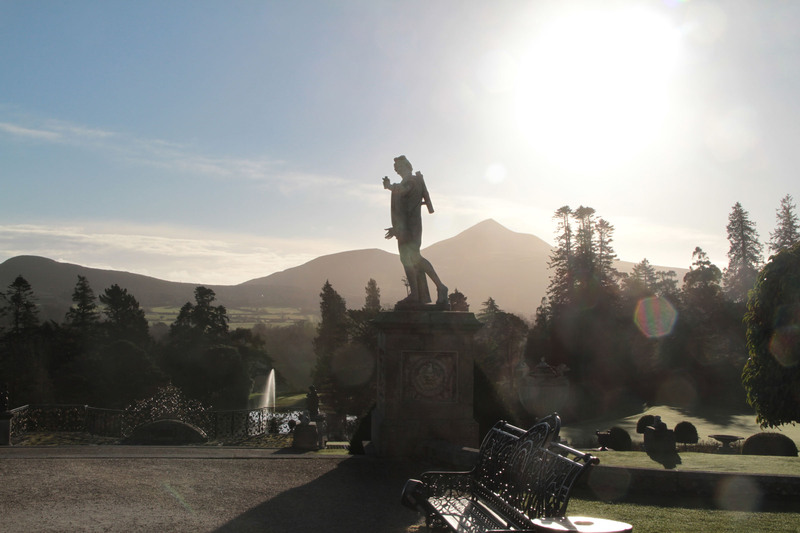 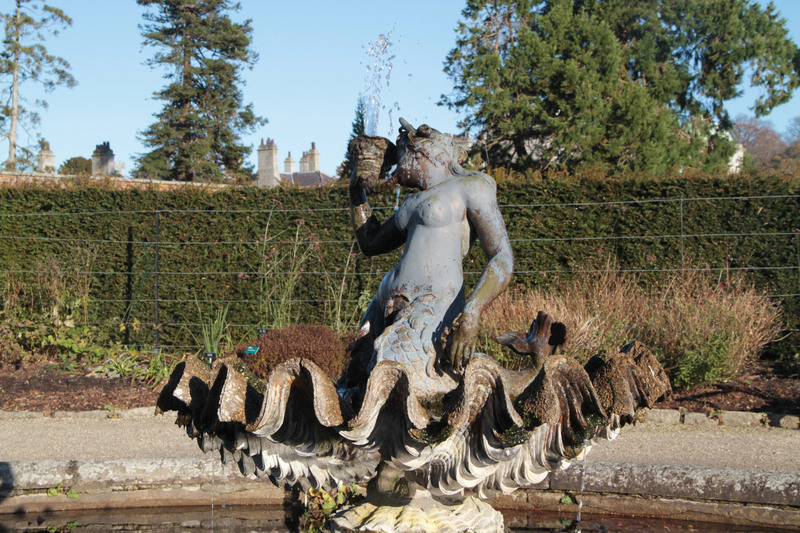 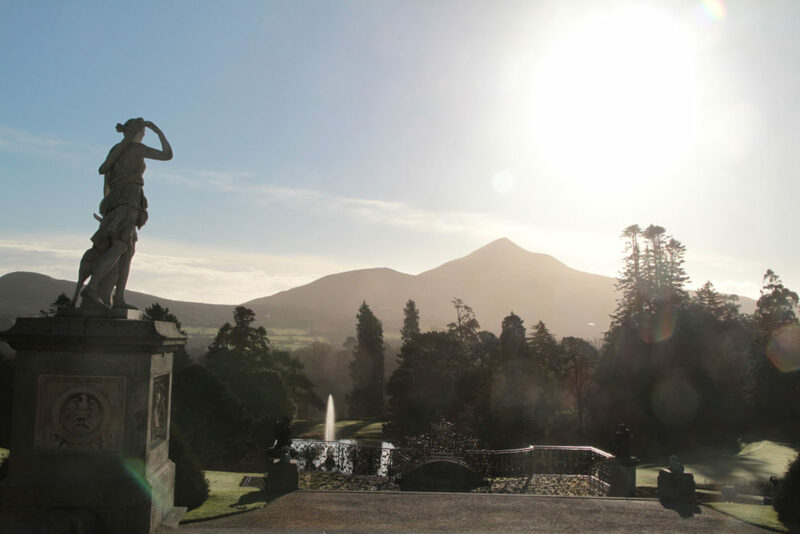 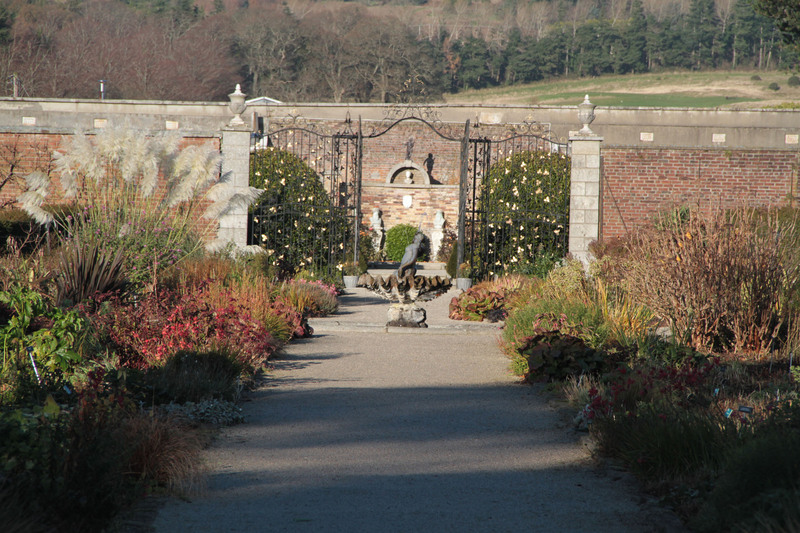 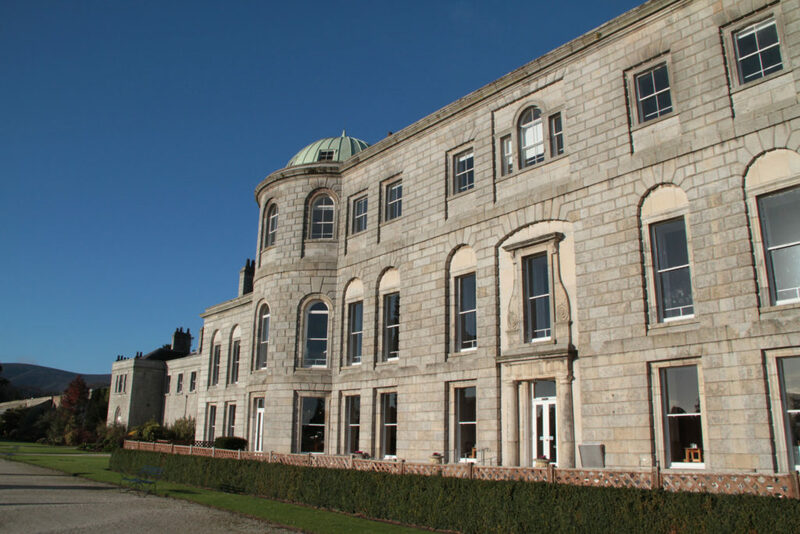 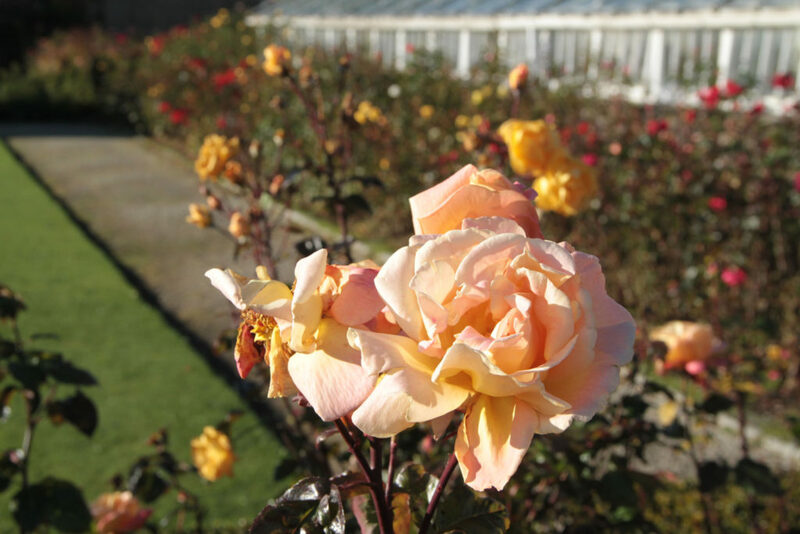 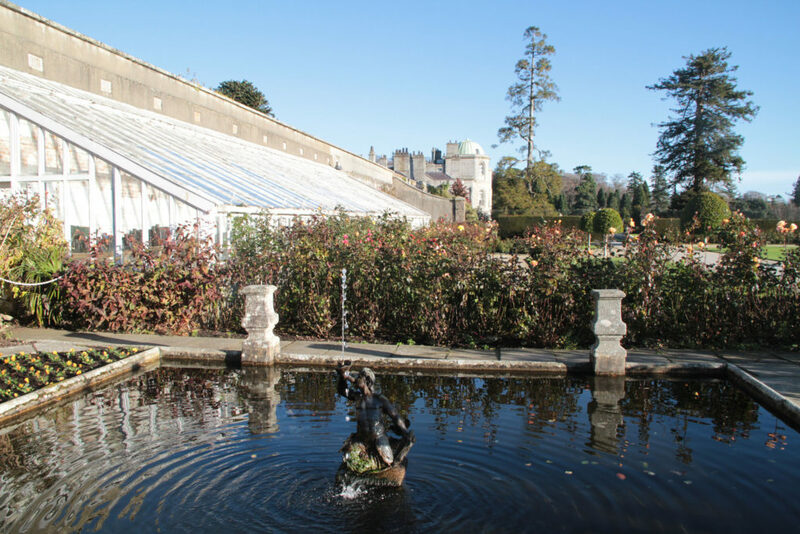 Day trips from Dublin, drive south along the coast to the Wicklow Mountains and stunning Sugar Loaf, visiting Powerscourt Castle Garden and Estate – a beautiful 13th century medieval castle with extensive gardens and grounds. 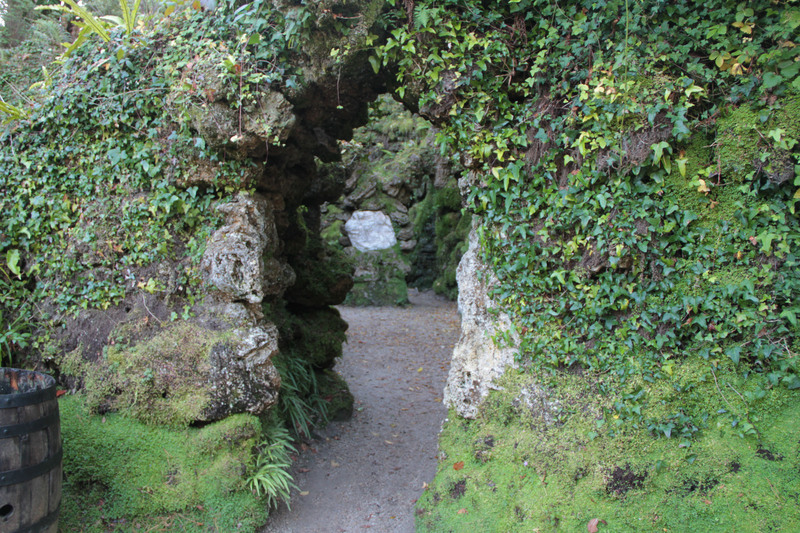 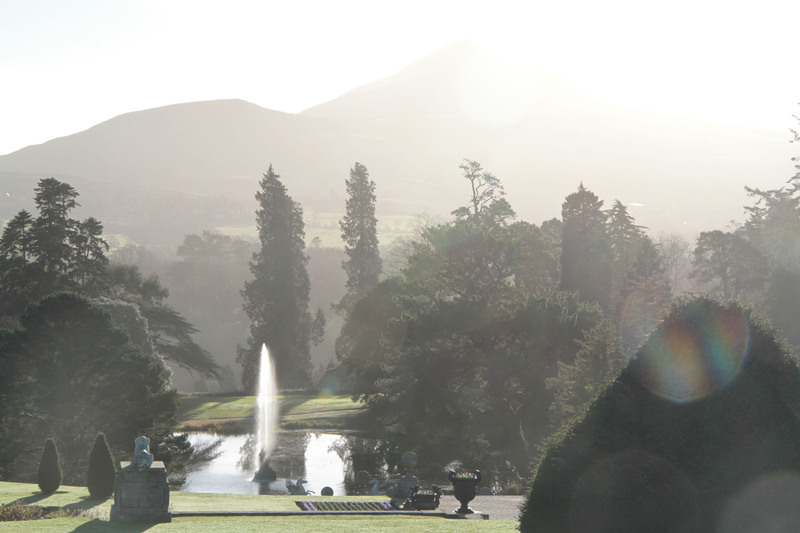 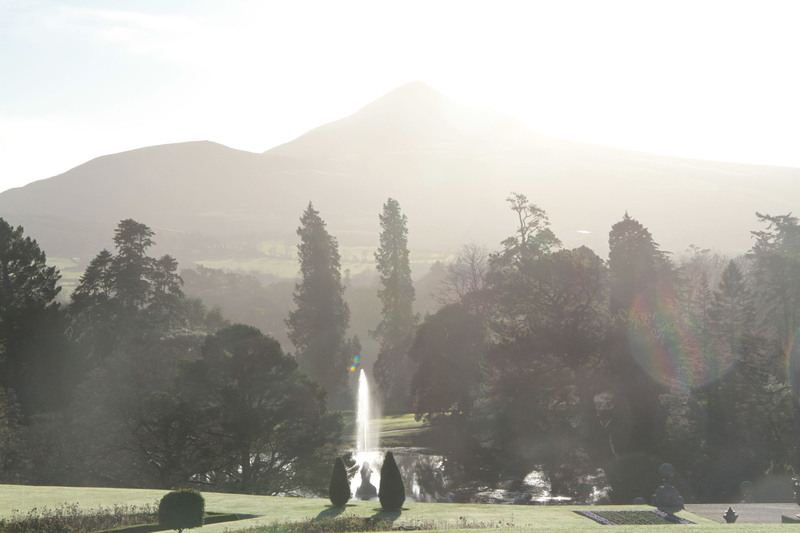 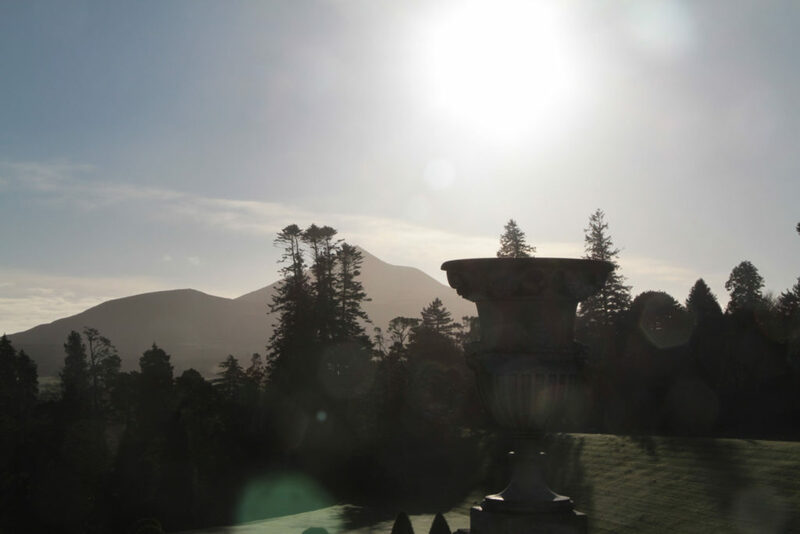 Powerscourt is certainly among the most amazing and best preserved estates in Ireland including a perfect reflecting pool lake and Japanese gardens. 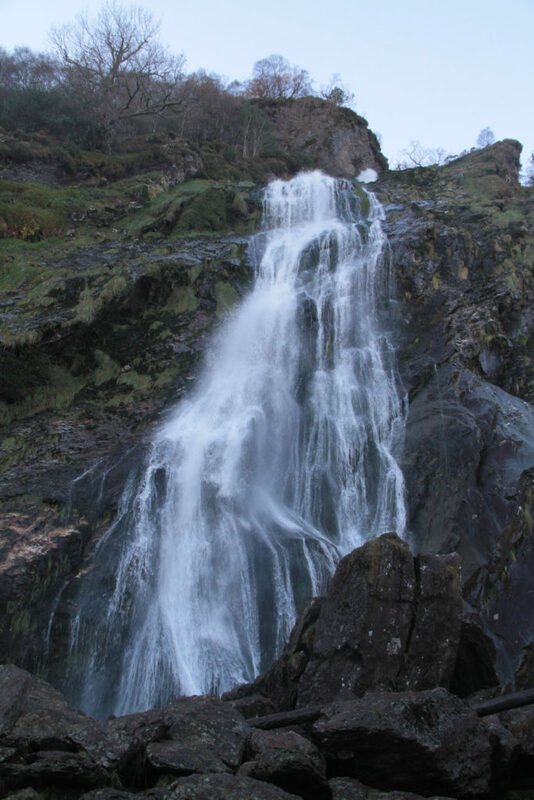 Powerscourt Waterfall is the largest waterfall in Ireland plummeting 398 feet over mossy cliffs at the foot of the Wicklow Mountains. 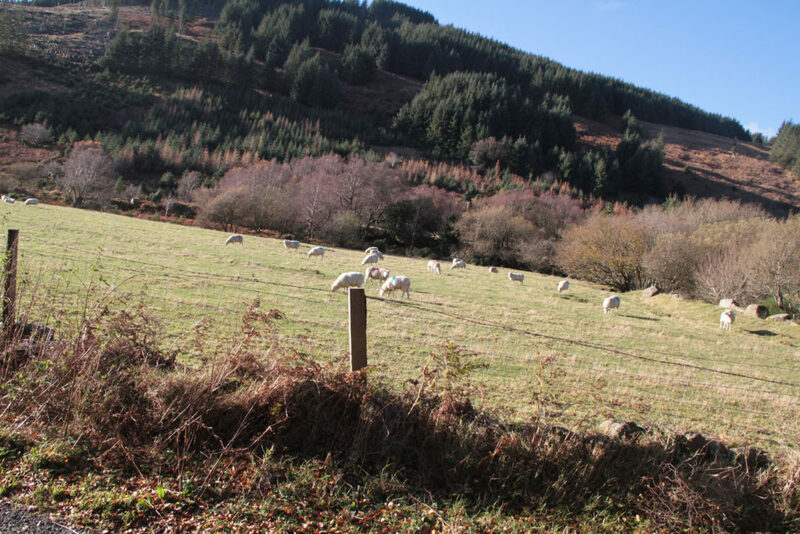 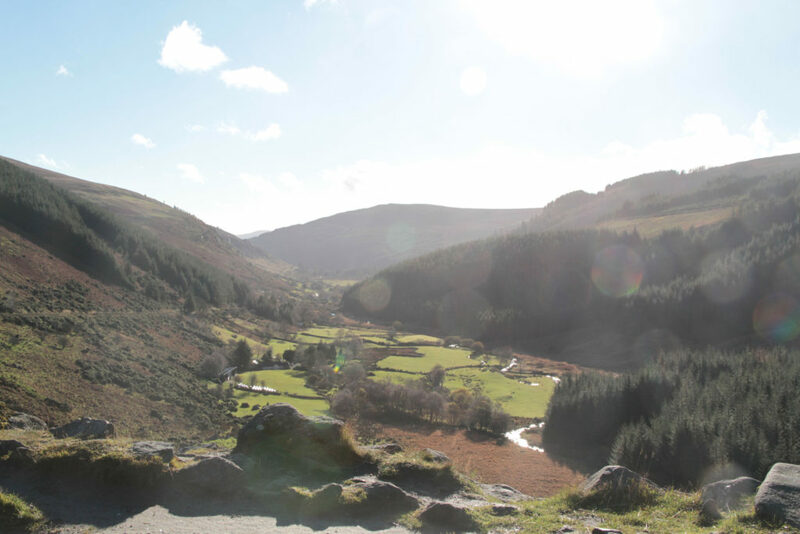 From Powerscourt, drive the undulating uninhabited landscape of Sally Gap (not recommended in snow or inclement visibility). 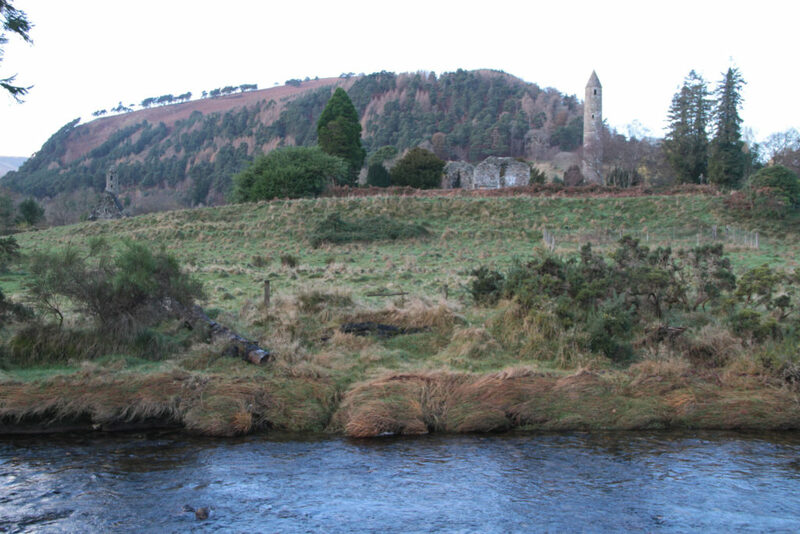 Military Road offers sights of filming locations for Braveheart starring Mel Gibson and Michael Connelly to name a few. 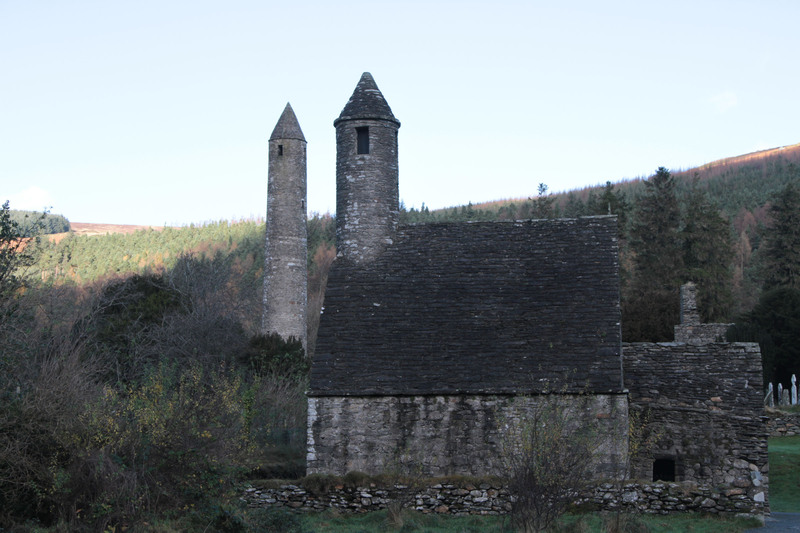 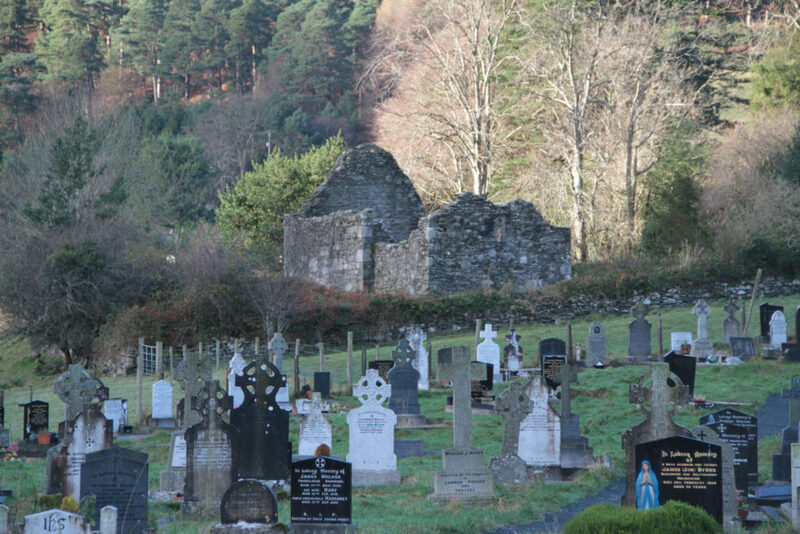 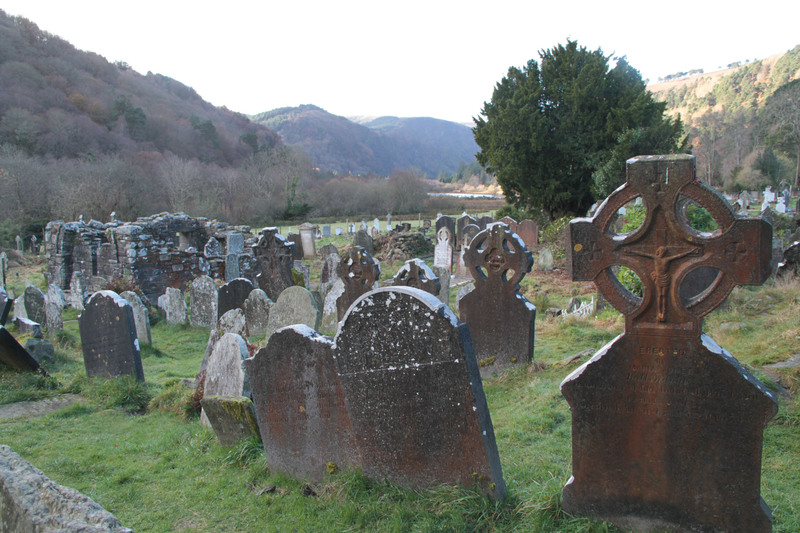 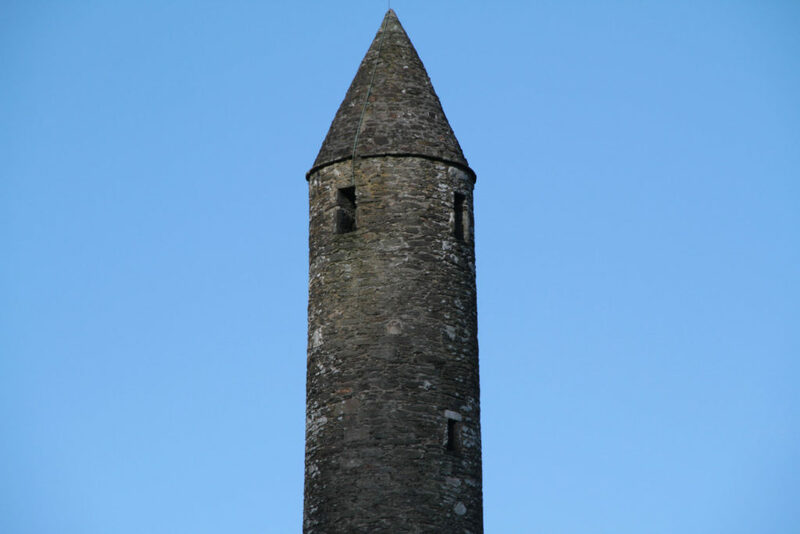 Glendalough, a medieval settlement in the glacial valley of Wicklow, offers delightful scenery and a 6th century site – one of the oldest monastic sights in Ireland dating to St Kevin and 600 AD which you can explore on foot with a walk to the upper and lower lakes past eerily old graveyards. 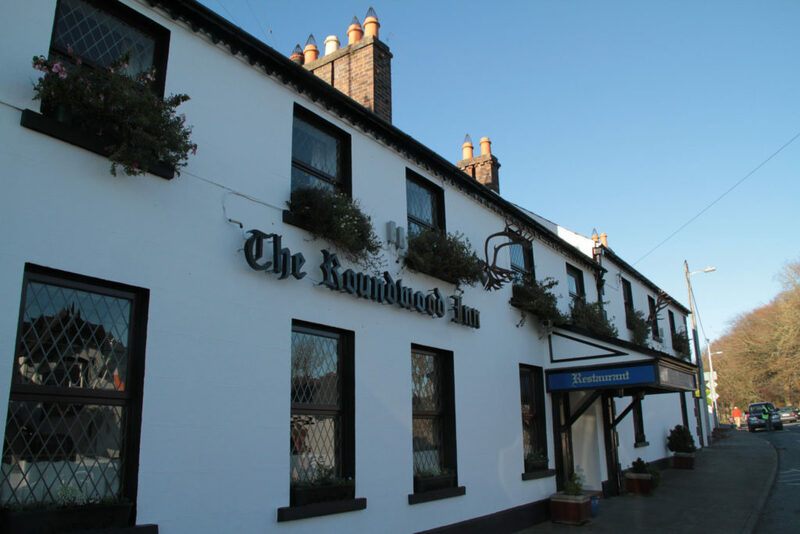 The Roundwood Inn in Bray served as a lovely spot for lunch of Irish stew and a pint along your return to Dublin. 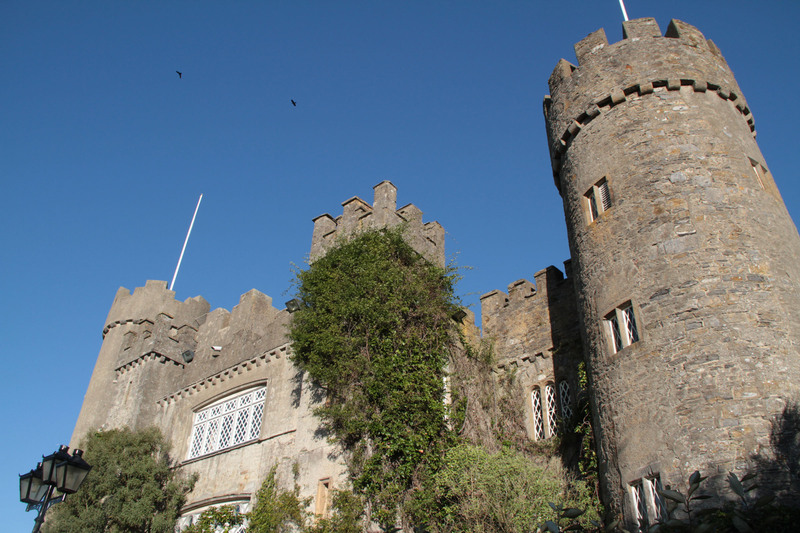 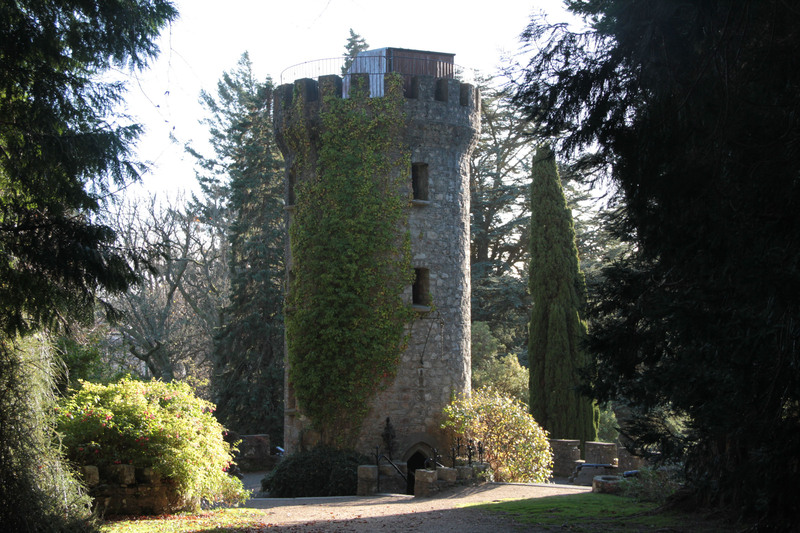 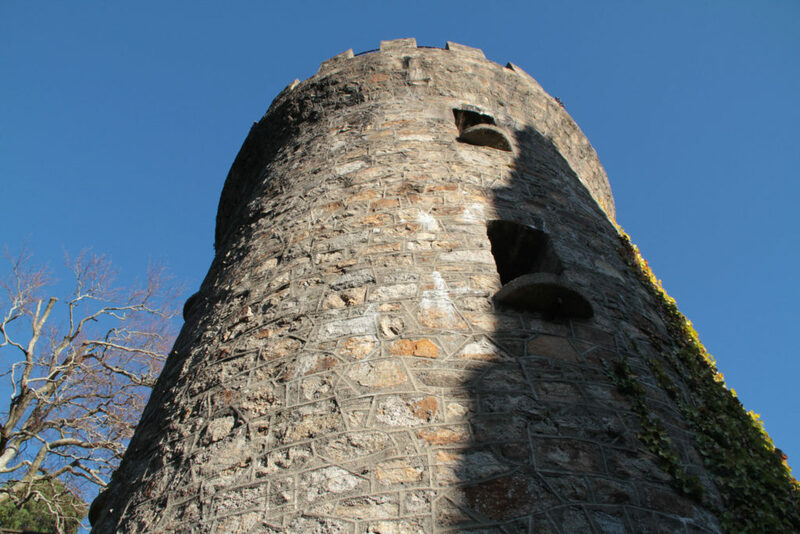 North of Dublin, visit the beautifully restored Mallahide Castle. 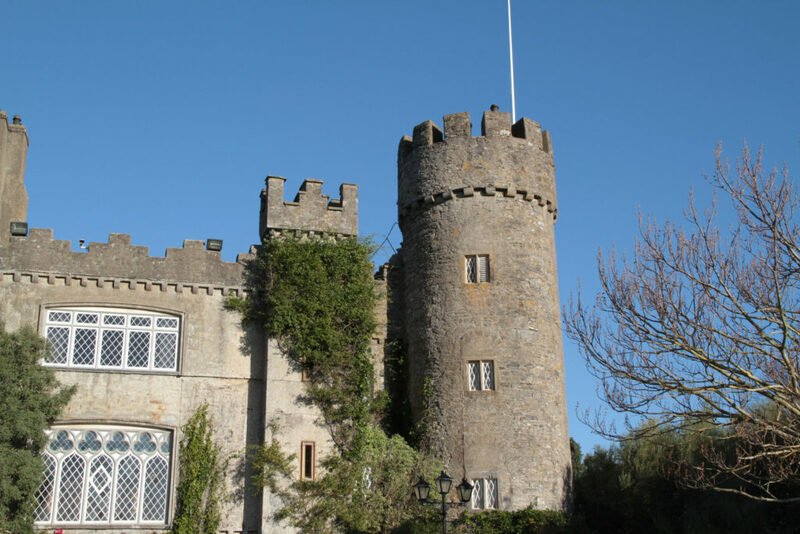 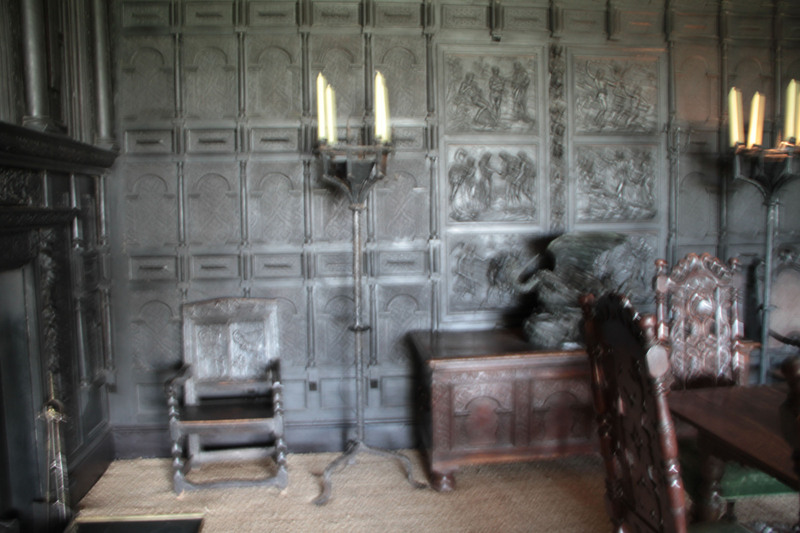 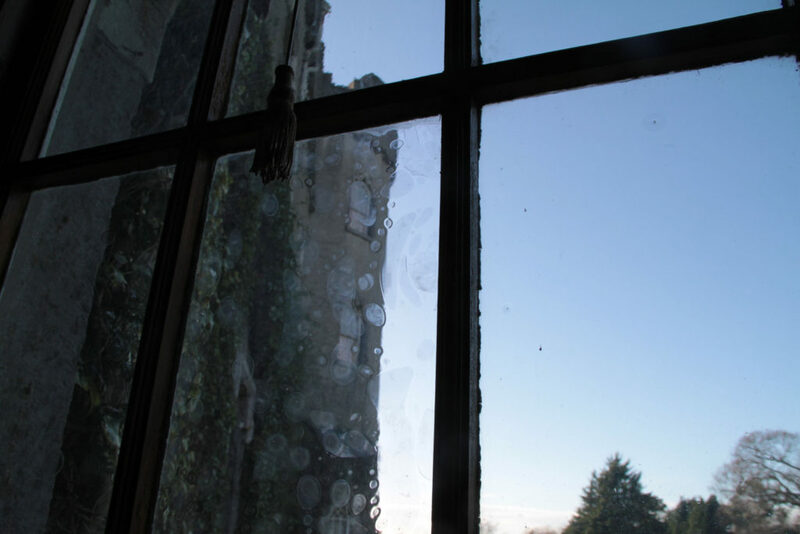 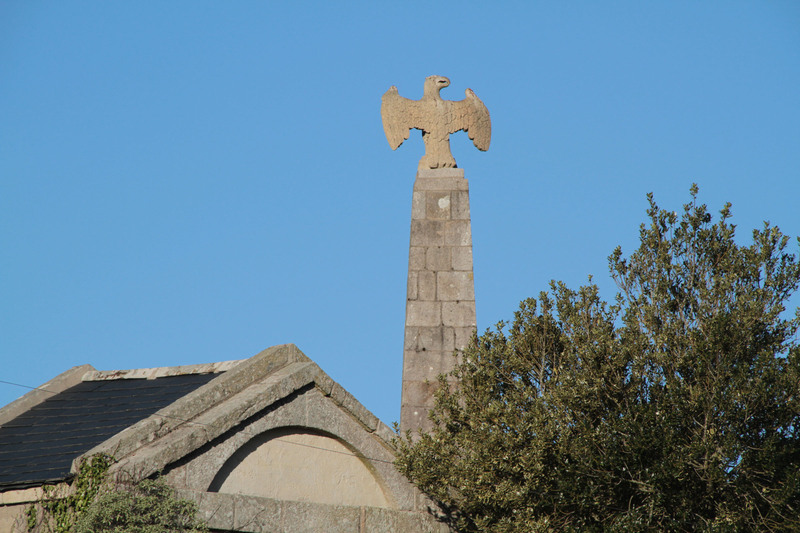 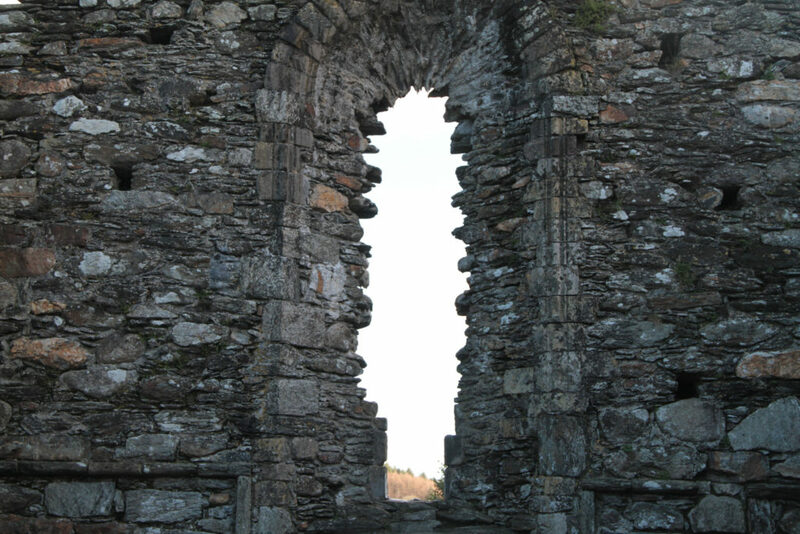 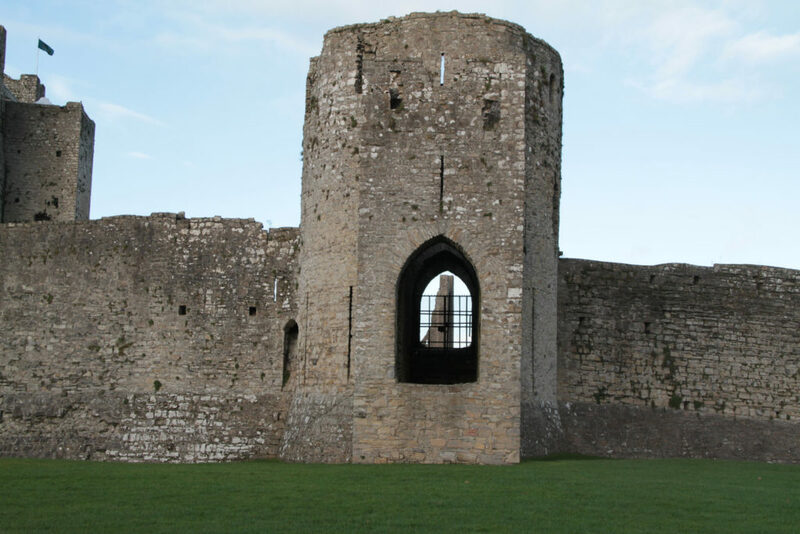 The 12th century Castle of Mallahide was home to the wealthy Talbot family and the castle rooms on display are decorated with authenticity and grace. 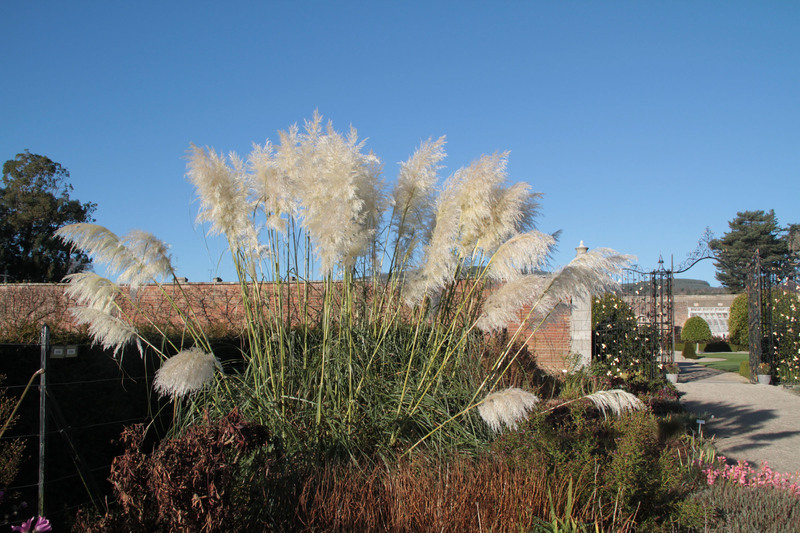 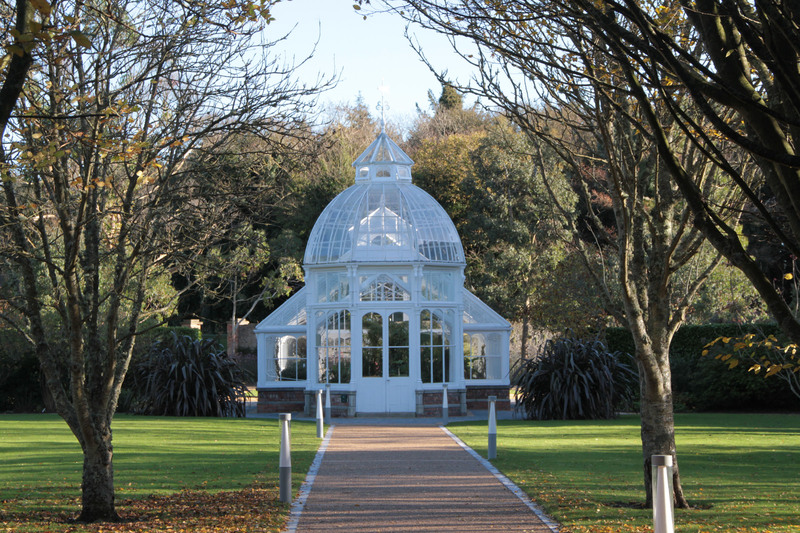 The Mallahide walled garden and beautiful glass garden pavilion are a must. Mallahide’s extensive manicured lawn is a splendid spot for a picnic too, provision ahead with smoke salmon, Irish goat cheese, brown bread, and wine, or come for an outdoor concert! 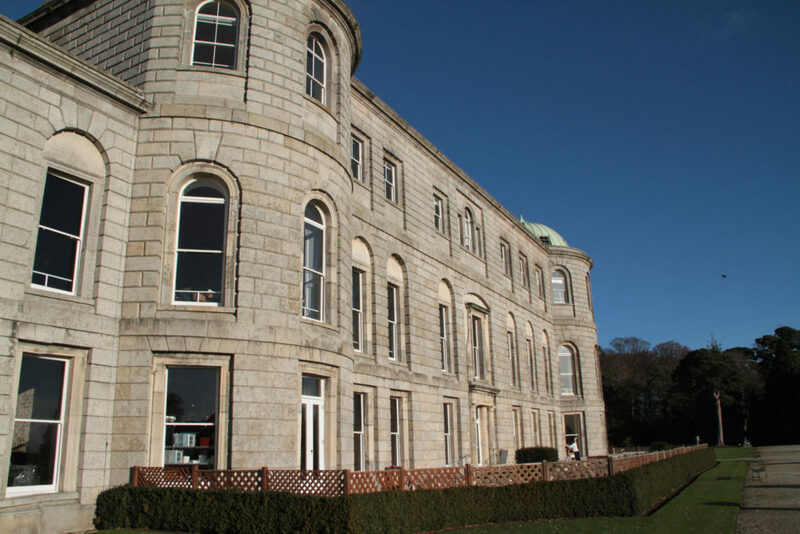 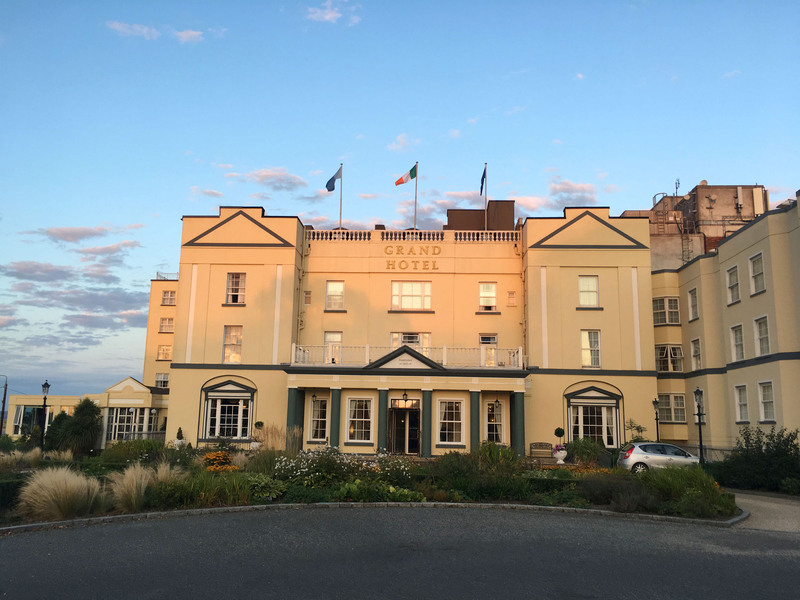 Stay in Mallahide – for a night on the waterfront at the four-star Grand Hotel, walk to the great boutiques, have a Guinness at a classic pub like Gibney’s (go to the rooftop bar at sunset), and walk along the harbor full of pleasure boats. 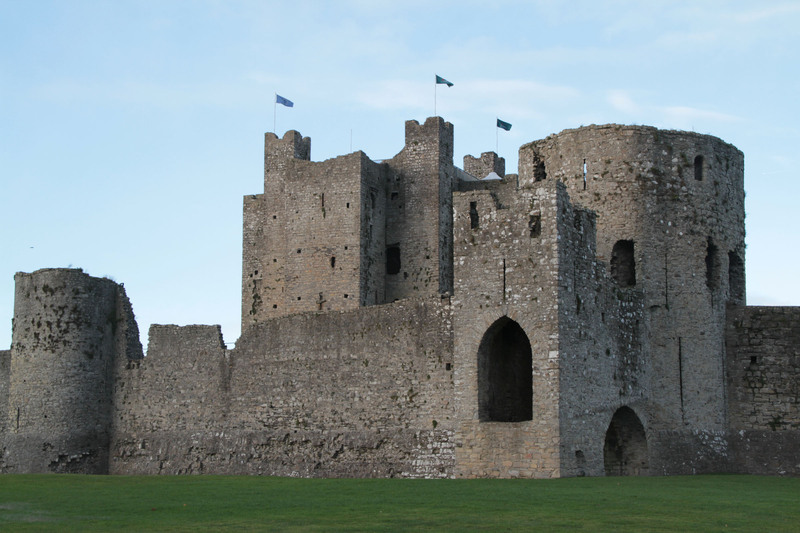 See where Braveheart was filmed, at Trim Castle, the largest in Ireland and the finest representation of 11-13th century living of nobility and warriors. 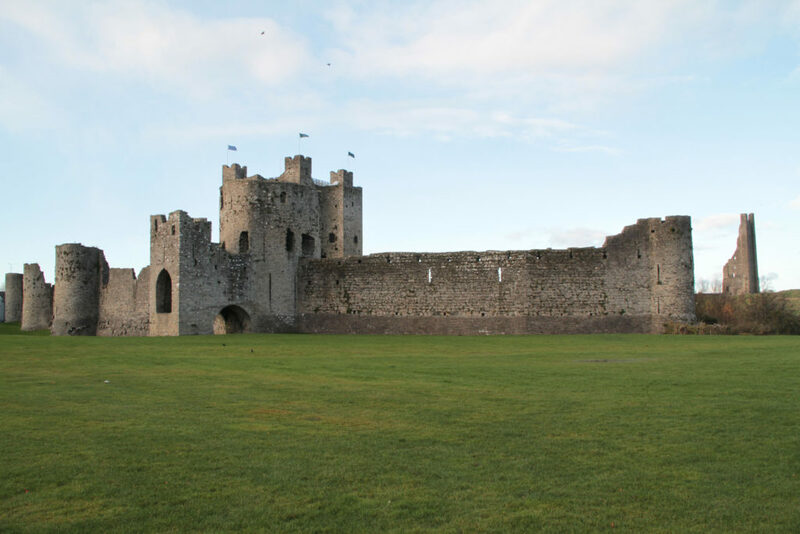 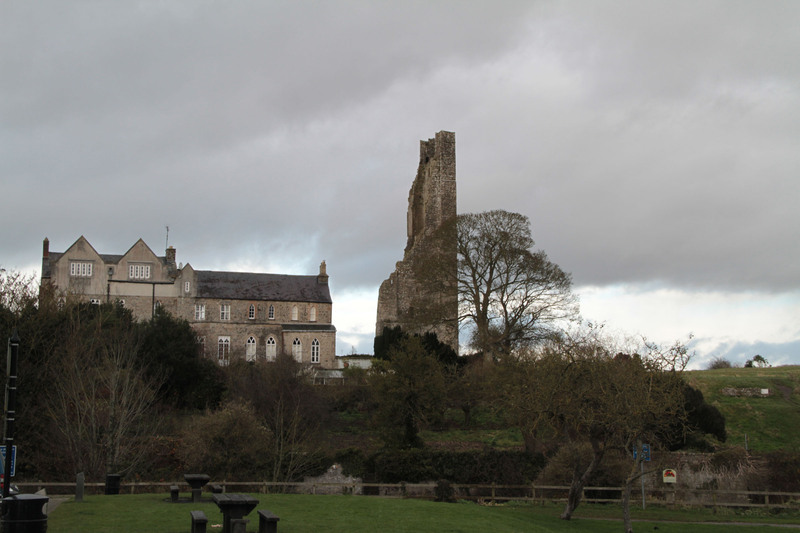 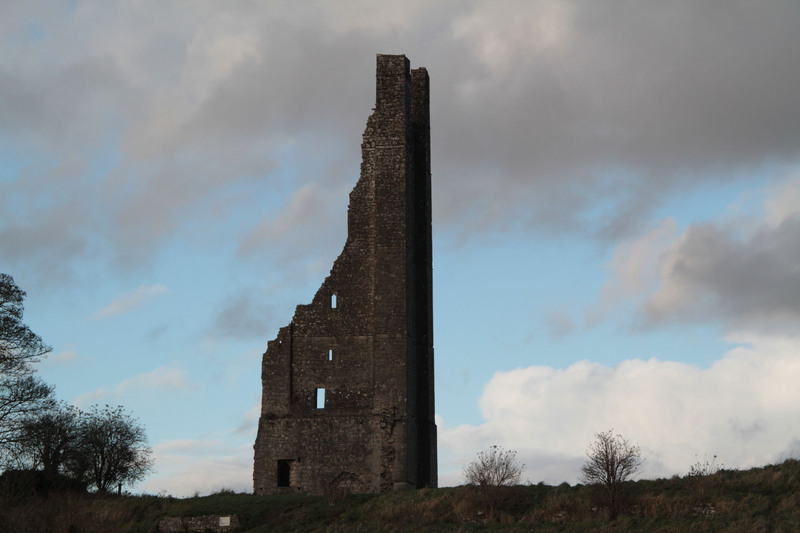 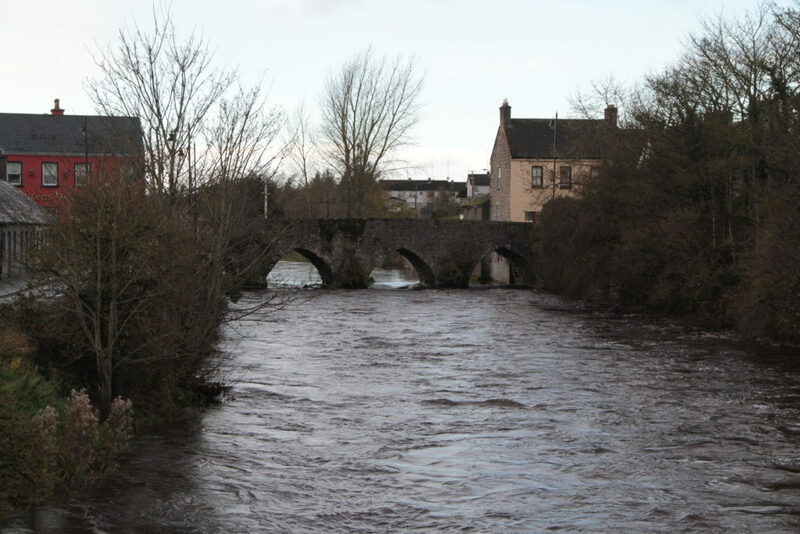 See the crumbling castle walls, the standing Yellow and the surrounding moat along the Boyne River which bubbles over rocks and under bridges through the charming town of Trim.